Problem solving and excitement, with 60 challenges, from beginner to expert! 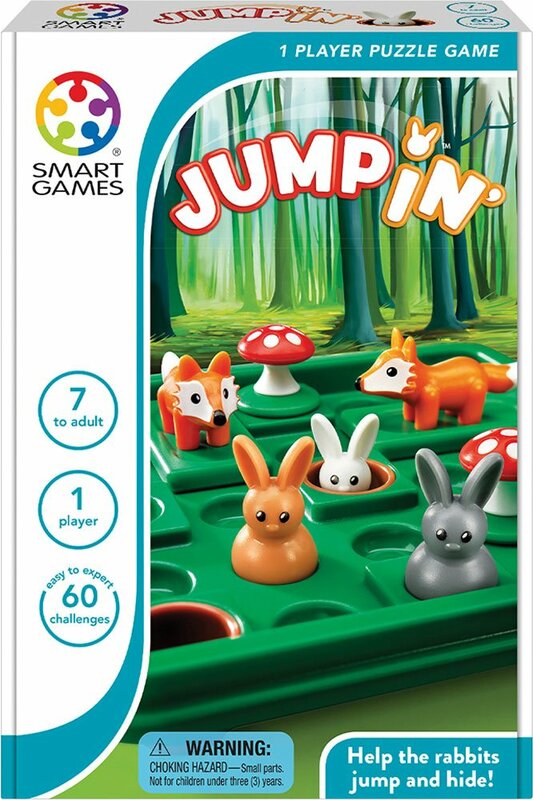 Help the rabbits stay safe by jumping over mushrooms and dodging foxes. This lively, travel-friendly game encourages problem solving, logic and excitement! 60 challenges, from beginner to expert.For ages 7 yrs-adult, from Smart Toys & Games.